Beautiful Ballantrae Home on Conservation/Pond Lot! This spacious home has over 3400 square feet of living space and features an oversized 2 car garage, formal living room and dining room, large bonus/entertainment area, bedroom and full bathroom on first level, volume ceilings, large windows for natural lighting, chefs kitchen with 42 wood cabinets, glass/stone backsplash & granite counter tops, upgraded lighting and much more! The master bedroom includes a sitting area, large walk in closet and bathroom suite which includes garden tub, dual sinks and separate shower. Community amenities include resort style pool, large playground, park, tennis court and more! Top rated schools minutes away. Convenient location to the Suncoast Parkway, bike trails, shopping, dining, and medical facilities. Come see this beautiful home priced to sell! 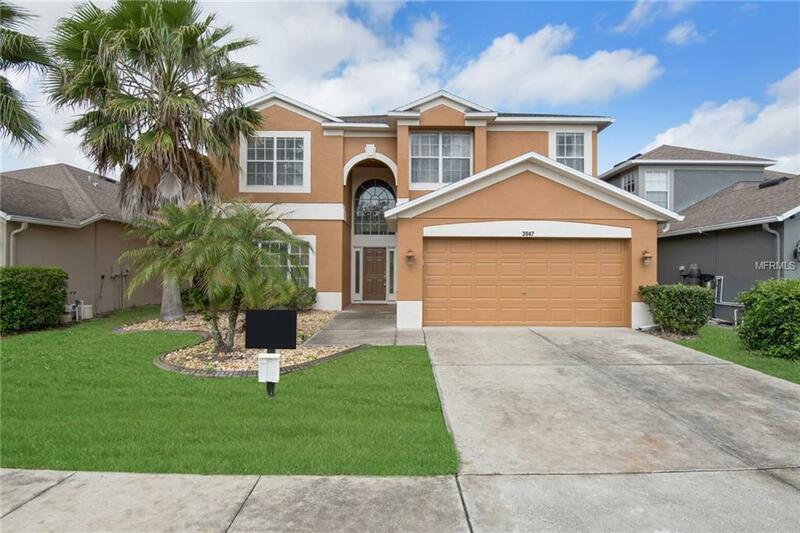 Listing provided courtesy of Tampa Bay Elite Homes, Llc.